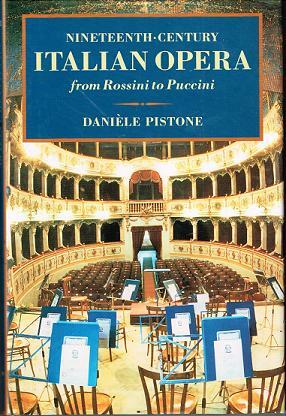 “Pistone (Sorbonne) provides a tripartite examination of Italian opera from Rossini through Giordano, including libretto, music, and performance histories. He discusses characteristics of a large number of Italian operas in a general way. Performers are cited, and the social aspects of the operatic profession considered. Accompanying tables deal with the chronology of major Italian operas, the literary sources of librettos, the vocal categories required for specific roles, the most frequently performed composers and operas, and the programs of Italian opera houses from the winter season of 1902-3. 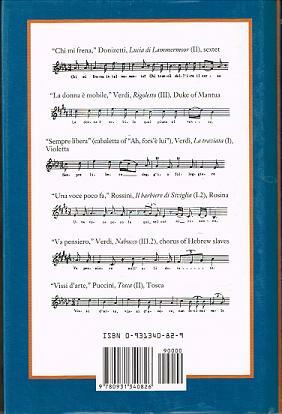 An alphabetical chart of 120 famous melodies from arias indicates the operas and acts in which popular themes occur. A list of celebrated singers is appended. The author attempts to make accessible to the general reader a number of facts and figures that span an enormous era of operatic history. Because of the breadth of the material covered, in-depth evaluations are limited.